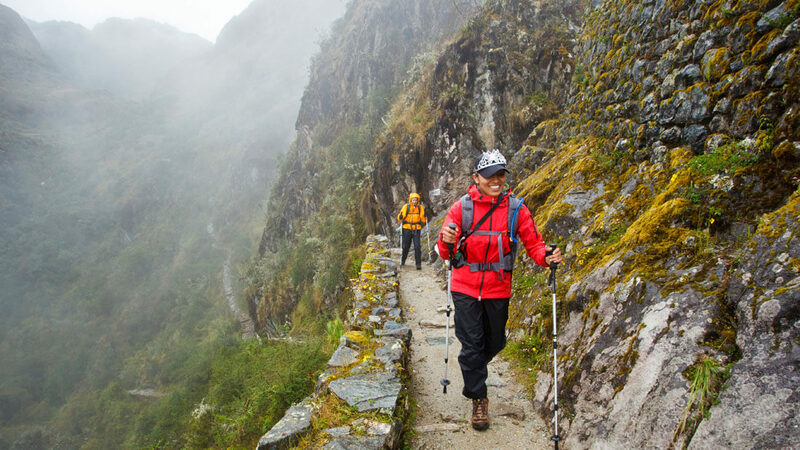 The most iconic walking route to the ruins of Machu Picchu, the Inca Trail is one of the most famous and beautiful treks in the world. Not only will the scenery move you, but our personal guides will fill you in on the incredible history, legends and beliefs of the Incas perpetuated still today by the local Quechuan communities you’ll meet on the way. 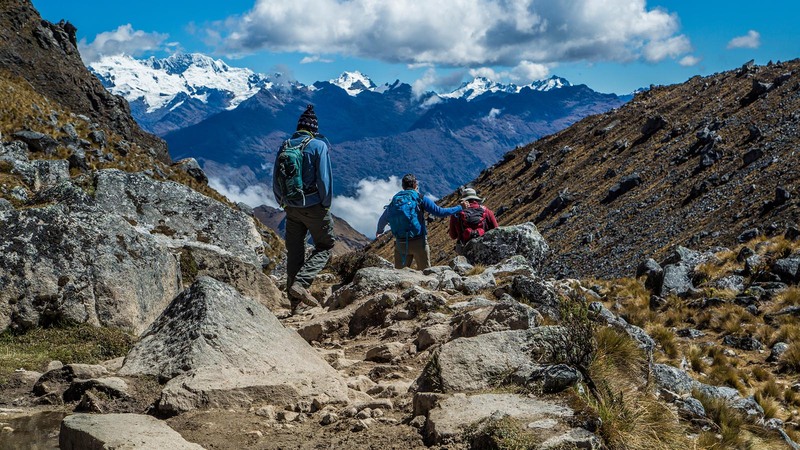 The route takes four days, following a sacred pilgrim path, involves visits to archaeological sites, dramatic mountain vistas and dense cloud forests rich in Andean flora and fauna, reaching Machu Picchu at the Sun Gate at sunrise on the final day. Early morning,we will take a bus drive from Cusco or Sacred Valley of the Incas to the head of our trail at Km 82 from where we continue along the Urubamba River to the first archaeological site "Llaqtapata". Here we enjoy lunch in a beautiful setting. After a rest, we continue into the side valley starting to gain altitude until we get to the last village Huayllabamba where we camp for today. (B. L. D.)(Semi-Private Transfer). Early after a tasty breakfast we hike another 2 hours through cloud forest to the famous sun gate "Intipunku" from where we have the first breathtaking view and best panorama of the mysterious "Machu Picchu". A short walk brings us down to the site. 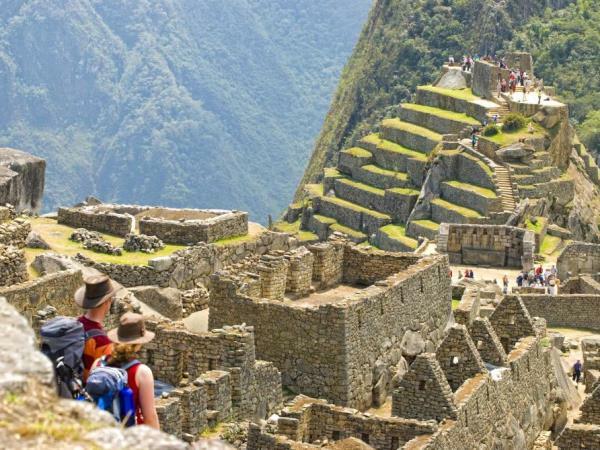 After refreshing a little we will visit "the lost city of the Incas" in a guided tour of the ruins will have you wondering about the lives of the priests, craftsmen, and servants who inhabited this citadel and what drove them to build it on a mountain-top. Excavations have revealed skeletons, artefacts and woolen clothing, but no gold. The same precise stonework as in other Incan sites in evident. 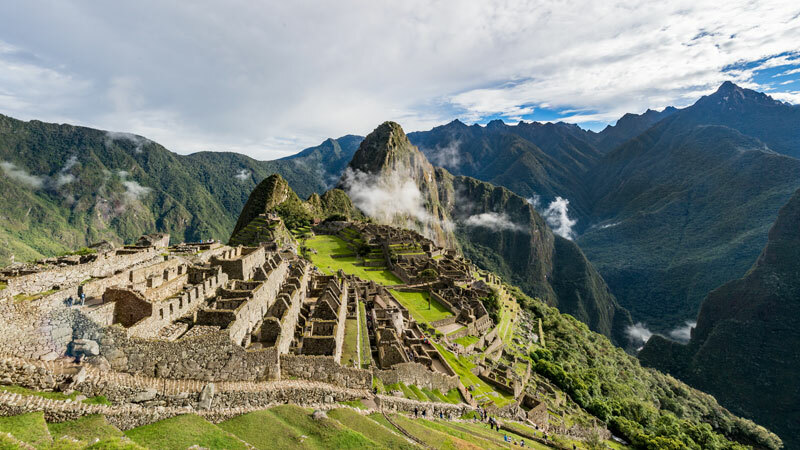 Overlooking the raging Urubamba River and discovered in a hidden tangle of vines and trees atop the mountain, the city of Machu Picchu will forever hold the secret of its destruction as the Incas left no written record. Morning visitors to Machu Picchu must leave the ruins by 12pm. Take a mini-bus back to AguasCalientes and have some free time for lunch or visiting the souvenir shops. Please make sure you allow enough time to collect your luggage from your hotel before returning to the train station to take the afternoon Vistadome trainto Ollantaytambo, where you will be met and transferred to your selected hotel in Cusco. During the trek you will be sleeping on tents “NORTH FACE” designated for 4 seasons. We provide you with 4-person capacity tents; however, just 2 trek participants use it! In this way, we provide you more space and comfort. In case of being a single traveler, we also can provide with a 2-person capacity tent. After each trek, we carefully check our tents and fix them if necessary (to bring the best service to our travelers). Hiking boots – very comfortable, worn-in if possible, waterproof. Fleece pullover (layering lighter garments is better than one heavy fleece). Shirts, hiking shorts, plenty of socks, bandana. Toiletries – including sun block and high factor sun cream, insect repellent, lip balm, biodegradable soap and shampoo. Group departures only on Wednesday, Thursday & Sunday. 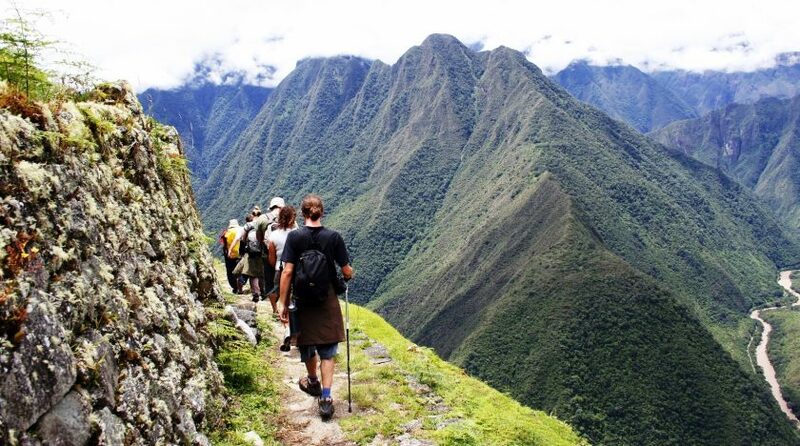 For any other dayyour own Private Inca Trek can be arranged, please contact us. you MUST bring the previous day’s ticket to enter Machu Picchu today without a guide. CALL 1300 787 987 FOR BOOKING INFORMATION ABOUT OUR INCA TREK!